Elvis Presley, accompanied by Bill Black and Scotty Moore, made his Las Vegas debut at the New Frontier Hotel when he opened for the Freddie Martin Orchestra and comedian Shecky Greene. Despite having "Heartbreak Hotel" at the top of the charts, Elvis was not well-received by the middle-aged audience. Management of the Frontier was so unimpressed, they gave Elvis his walking papers after one week of a two-week engagement. Presley wouldn't play Las Vegas again for almost 13 years. 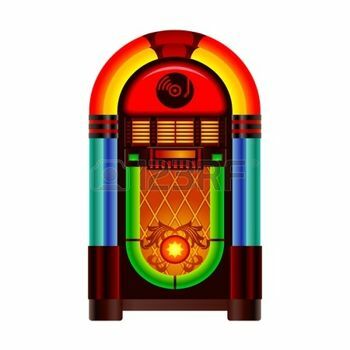 After eight weeks as the best selling song in America, "Theme From A Summer Place" by Percy Faith And His Orchestra is finally replaced on the Cashbox chart by Elvis Presley's "Stuck On You". John Lennon and Paul McCartney appeared as The Nerk Twins at The Fox And Hounds pub in Caversham, Berkshire. A song called "My Bonnie" by Tony Sheridan and The Beatles was issued in America on the Decca label. It was the first commercial release anywhere in the world to carry The Beatles name. John Lennon would later say "It's just Tony Sheridan singing with us banging in the background. They're flogging it, but I wish they'd just shut up! It's terrible! It could be anybody." The mono 45 failed to chart on Billboard or Cashbox. Jan And Dean record "Surf City" with The Beach Boys providing background vocals. The Brian Wilson penned tune became the first surf song to reach number one on the Billboard Hot 100 and even crossed over to the R&B chart where it reached #3. Herman's Hermits released a song called "My Sentimental Friend", which would become a major European hit, reaching number two on the UK pop chart. In the US however, the band was now hopelessly out of style and one of the best songs they ever recorded was ignored completely. Norman Greenbaum's "Spirit in the Sky" is awarded a Gold record. The single sold two million copies in 1969 and 1970 and reached number three in the US and number one in the UK. Mama Cass Elliot collapses before an appearance on The Tonight Show where she had been scheduled to host the program. She was later taken to hospital on a stretcher. 18 weeks after entering the Billboard Hot 100 singles chart, Thelma Houston's "Don't Leave Me This Way" made it all the way to the top spot. The song peaked at #13 in the UK. Dexys Midnight Runners went to the top of the Billboard singles chart with "Come On Eileen", the group's only US #1. The song also topped the UK chart. The band took their name from the amphetamine Dexedrine, commonly known as Dexys, and therefore the group's name is improperly spelled when an apostrophe is used between the y and the s.
Roy Orbison celebrated his 51st birthday by re-recording some of his biggest hits. Included were "Oh Pretty Woman", "Crying", "Only the Lonely", "Dream Baby", "Running Scared" and many others. These newer recordings are nowhere near the quality of the originals, so if you're in the market, make sure you buy the original hits, available from Sony Music and specialty labels like Rhino. Carole King sues her record label for breach of contract, claiming that owner Lou Adler owes her over $400,000 in royalties. She also asks for rights to her old recordings. Roy Orbison celebrated his 52nd birthday at a Bruce Springsteen concert, during which the audience sang "Happy Birthday" to him. Whitney Houston breaks the record held by The Beatles and The Bee Gees of scoring seven consecutive US number one hits when "Where Do Broken Hearts Go" tops the Billboard Pop chart. Johnny Thunders, the guitarist who rose to fame with The New York Dolls, died at the age of 38. The cause of death appeared to be drug-related, but it has also been speculated that foul play may have been involved. The Sunday Times of London reported that a Liverpool man, Peter Hodgson, had found a tape in his attic containing 16 of The Beatles' earliest recordings made in 1959. The session included "Hello Little Girl", a Lennon-McCartney composition that The Beatles never recorded commercially and Ray Charles' "Hallelujah, I Love Her So". The tape had been made on a reel-to-reel recorder that Hodgson's father had lent to Paul McCartney. Bon Jovi guitarist Richie Sambora was sentenced to three years probation after admitting to driving under the influence of alcohol. Norman Wright, vocalist for The Del-Vikings on their hits "Come Go With Me", "Whispering Bells" and "Cool Shake", passed away at the age of 73. Rocker Ted Nugent was axed from a concert at U.S. military base Fort Knox following the controversy over his rant against President Barack Obama when he insisted Americans had to rise up against Obama and the Democrats when America goes to the polls in November. Chris Ethridge, bassist and co-founder of The Flying Burrito Brothers, passed away at the age of 65. Glen Campbell's publicist told members of the press that his client is no longer capable of performing on stage due to advancing Alzheimer's disease. Sandy Brokaw went on to say that the 77-year-old Campbell planned on recording one final album called "See You There", which would feature new renditions of old songs. The California Supreme Court refused to review the involuntary manslaughter conviction of Michael Jackson's physician, Dr. Conrad Murray, rejecting his lawyer's petition without comment. London England's Sunday Times named Sir Paul McCartney as the wealthiest UK musician with assets of an estimated at over 730 million pounds. He was followed by Andrew Lloyd-Webber at 650 million, the band U2 with 431 million, Elton John with 270 million and Mick Jagger with 225 million pounds.